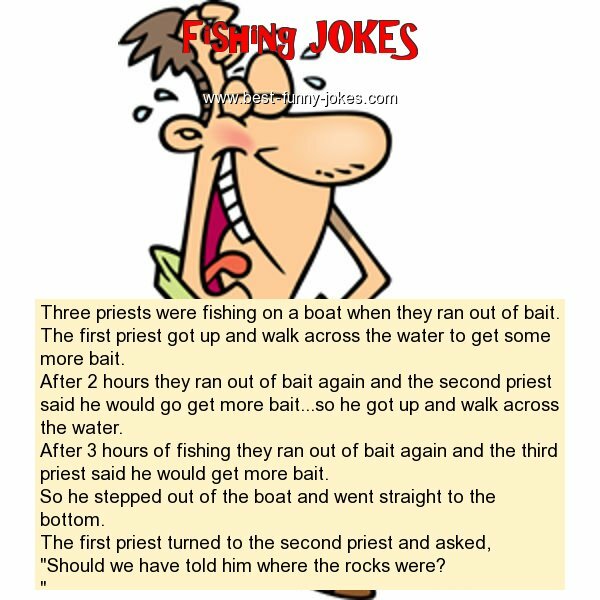 After 3 hours of fishing they ran out of bait again and the third priest said he would get more bait. So he stepped out of the boat and went straight to the bottom. The first priest turned to the second priest and asked, "Should we have told him where the rocks were?